OAKLAND, Calif. -- Firefighters in Oakland Thursday morning are responding to a two-alarm structure fire in the 700 block of 66th Avenue. 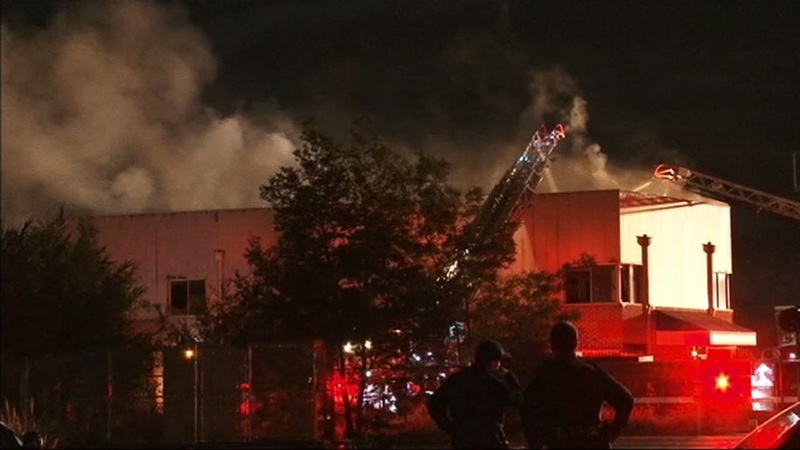 The fire broke out at a two-story warehouse, and crews arrived to find heavy flames coming from the building. The fire department is reporting one victim was located by firefighters and is said to have died. The fire was first reported around 3:15 a.m.